Many residential estates need rugged, dust and weather-proof devices that offer exceptional durability in extreme conditions. 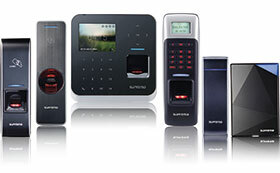 Suprema offers seven access control terminals that are suitable for outdoor use, namely BioStation 2, BioLite Net, BioLite Solo, BioEntry W2 and BioEntry Plus – which provide card, PIN and finger authentication and Xpass and Xpass S2, which operate with card only. These devices feature IP65-rated protection, meticulous sealing, and extra protective engineering. The BioEntry W2 also offers IK-08 vandal resistance. A large number of users are supported, with a maximum of 500 000 on some of the devices, with no additional licences. BioStation 2 and BioEntry W2 are fitted with Suprema’s next generation optical sensor, which captures and processes much clearer fingerprint images under less-than-ideal conditions. The new sensor offers excellent wet and dry fingerprint capture performance, allowing these devices to be used even in harsh environments. The W2 achieves matching speeds of 150 000 matches per second, offering high-speed authentication in even the largest estate. Xpass S2 operates in extreme cold temperatures as well as extremely hot environments (operational temperature -35°C to 65°C). The S2 features innovative multi-smartcard support, allowing it to read multiple card formats from Mifare, DesFire, ISO 14443A, ISO 15693, to Felica. Suprema devices host a number of different communication interfaces providing higher flexibility and multiple installation options. They are easy to install and easy to operate.